Some steps that are straight forward I will not focus in detail, because I want to focus on some more important things but I will give link and point how can you achieve that. Hyper V does not come installed by default on Windows 10 so you can follow these instructions how to enable it. 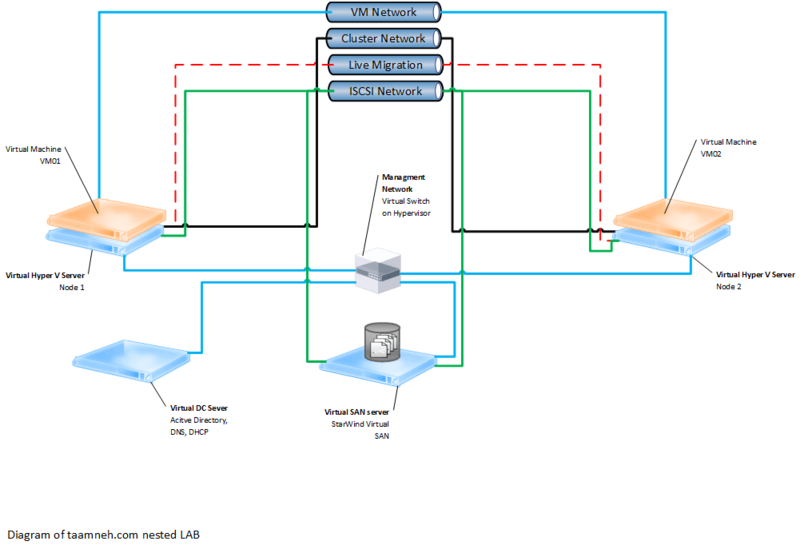 After we have working Hyper V it is time to plan our LAB test environment. We can do this in two ways and footprint is quite different in both scenarios. One way is doing it via GUI and with full featured Windows Server 2016 using VM templates for deployment and other is via PowerShell using new Nano Server. Note: First scenario also can be done with PowerShell and DSC (Desired State Configuration) which make it a lot quicker deployment but that part is intentionally left for other post and tutorial. Also SAN component will be different in both scenarios. In first we will use StarWind Virtual SAN and in second new Storage Spaces Direct functionality in Windows 2016 also considered Hyper Converged scenario. 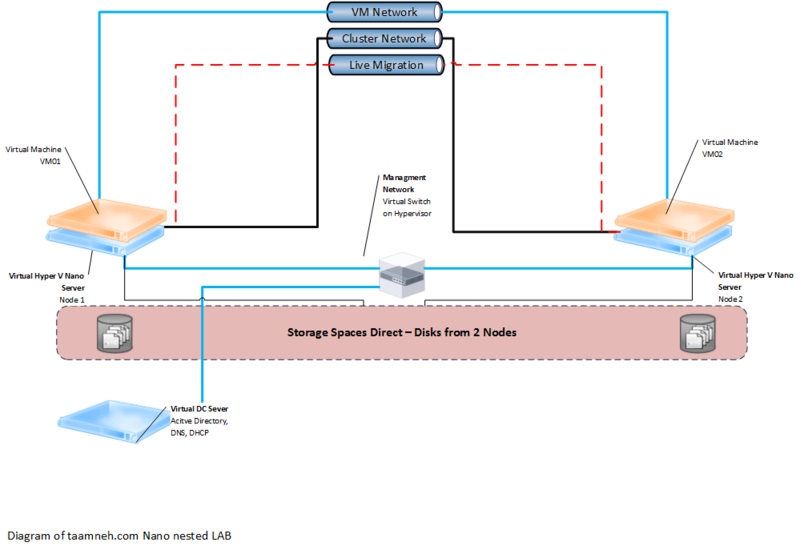 You can see both diagrams here and our plan in table below regarding deploying VMs and their planed resources on our host. As you can see from table above Scenario 2 have additional disks that will be used for Storage Spaces Direct. Its time to start with my first scenario and it will be in my next post.